Now that the sculpey head is baked and the puppet won’t have to go back into the oven, it is time to attach the heat sensitive rare earth magnets to its feet so it can stand up. I’m using Neodymium Magnets N52 3/8 in x 1/4 in Rare Earth Disc from Applied Magnets at www.magnet4less.com. 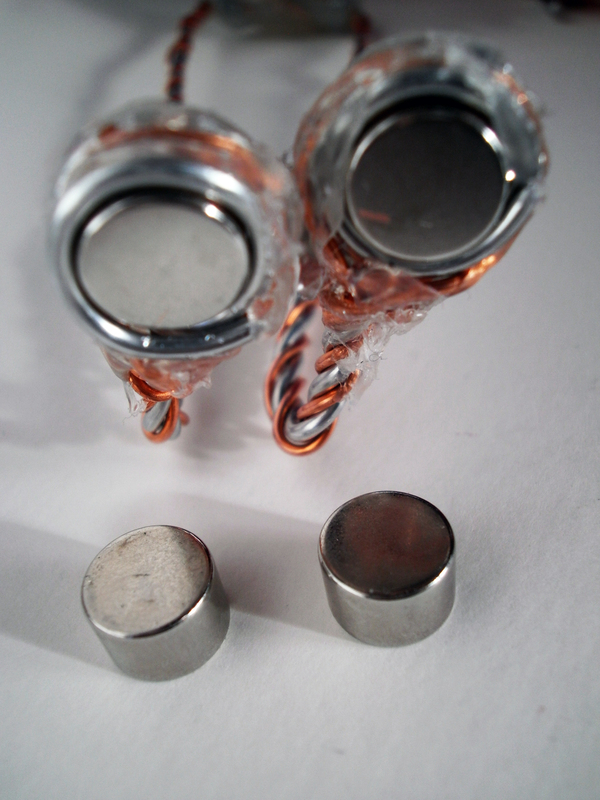 N52 magnets can be found here: http://www.magnet4less.com/product_info.php?products_id=875. Here, I’ve just hot glued the magnets into the feet. Next to the feet are a couple more of the same type of magnet. The puppet is now standing with the rare earth magnets in its feet on a metal surface covered with paper. I prefer to use hot glue, which is pretty much just melted flexible plastic, near joints and connections instead of something harder like fast steel or quick wood. 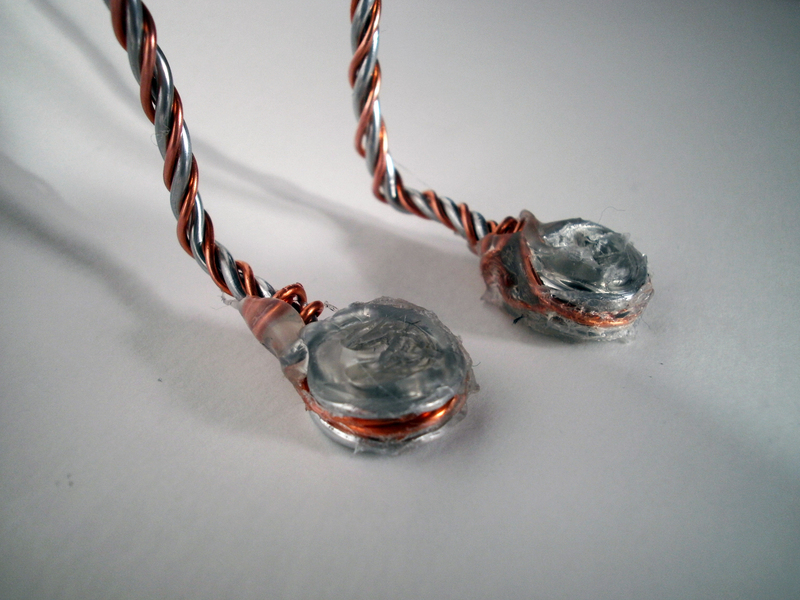 The wire is more likely to break when the joints are next to very hard substances than when they are up against the hot glue. 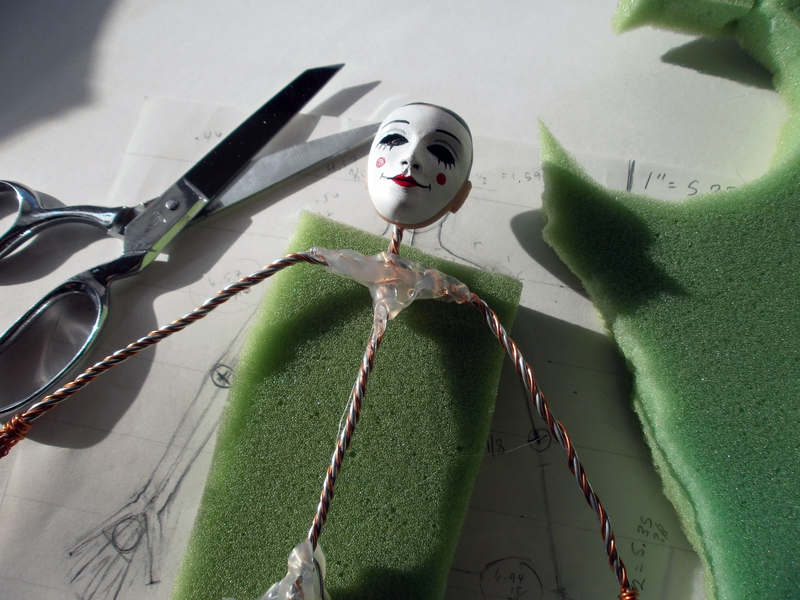 When attaching the foam to the puppet I run the hot glue thoroughly down the arms and legs to help prevent crimping the wire which can also make your puppet’s joints break really fast. 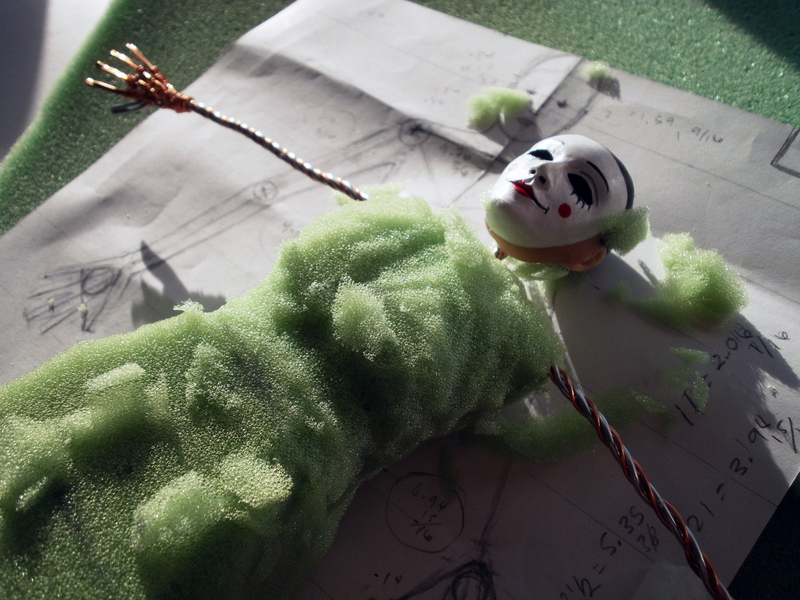 I attach blocks of upholstery foam to the armature with hot glue. I then trim the foam roughly to shape starting with regular sewing scissors. To smooth and shape the body once the larger pieces have been removed, I use very sharp small scissors and trim and trim and trim. Then, when I think I am done, I”ll notice something that isn’t quite right and trim some more. Expect little tiny pieces of foam to follow you around for days, even with repeated and careful vacuuming. 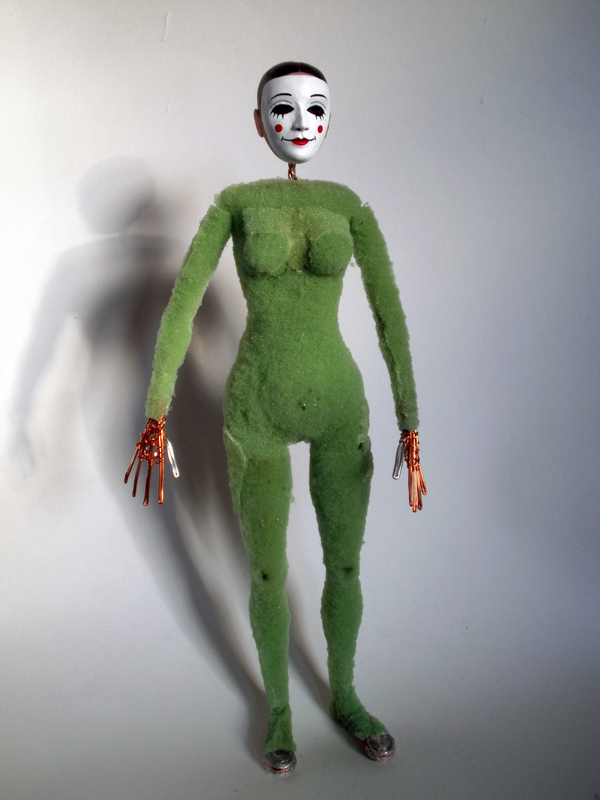 Once I finished the costume, this puppet became top heavy and awkward to animate. It worked okay for the original plan, but now has a larger role in the film and will need to walk a lot. I removed the magnets and put in T-nut tie downs an added four strands of 1/16th inch armature wire from hip to mid-foot. I adore Blood Tea and Red String and have just found your blog. I’m really excited that you are generously sharing your process and that we can all follow you as you create Seed in the Sand.